Birmingham Cathedral is the city’s Anglican cathedral. 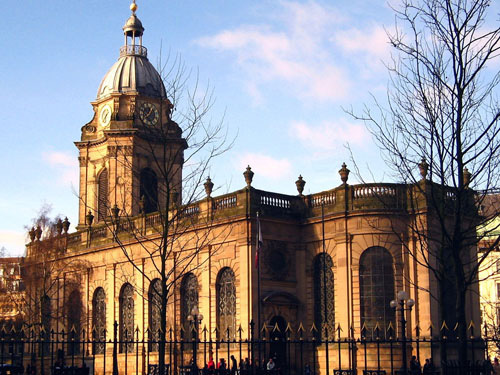 The church of St Philip was built for the growing town of Birmingham in 1715. The church became a cathedral when a new Diocese was formed in 1905. 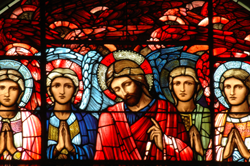 The most significant treasures are the stunning set of stained-glass windows by Birmingham born artist, Edward Burne-Jones. The cathedral has a strong tradition of musical excellence and regular evensong takes place every day during school term time. The cathedral is at the heart of the city and welcomes visitors every day of the year. 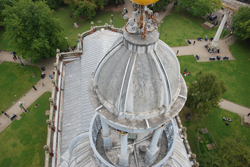 Also Pictured: View from above the Cathedral's cupola. 'Ascension' window in the cathedral, by Burne-Jones. Memorial and other special services. Train: nearest station: Snow Hill (train and Metro services) . Bus: All city centre buses. Cars: limited on-street parking in Colmore Row, Temple Row and Waterloo Street. City centre car parks. Coaches: Coach bay in Church Street.